Summary Ubuntu One is a cloud storage and synchronization service from Canonical that works really well with Ubuntu, but lacks a few important features. Pros • Deep integration with Ubuntu distro. • Windows beta shows promise of cross-platform. • Contacts, Bookmarks, and Notes sync work well. Cons • No file encryption when stored on Ubuntu's servers. • Windows beta is VERY beta at this point. • Mobile support is separately priced. Ubuntu One is an interesting service offered by Canonical to synchronize files, notes, contacts, Firefox bookmarks, and music purchased from Ubuntu One’s music store. That’s an eclectic selection of things to sync, to say the least. Recently Ubuntu One released a Windows Beta, so I thought it was time to take a look at the service. Plus it gave me an excuse to install Ubuntu 10.10 (aka Maverick Meerkat). Ubuntu One is supported on 10.04 LTS and 9.10 as well. Ubuntu One has three account options. First is a 2 GB free account. You can upgrade this in 20 GB increments for $2.99/Month for $29.99/Year. This is slightly less expensive than Dropbox, Ubuntu One’s primary competition. 100 GB from Dropbox costs $20 a month, versus $15 from Ubuntu One. The feature-set differences makes up for the higher price, though. I reached out to Canonical about their refund policy. Canonical will give full refunds during the first 30 days of use. 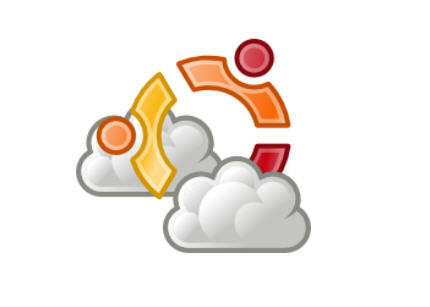 After 30 days, users will receive credits good for other Ubuntu One services, like the music store. Ubuntu One separates out its Mobile service, which is $3.99/Month or $39.99/Year. The app allows for streaming your entire music collection from the cloud, and includes contact synchronization. I really don’t understand why mobile support is an extra charge, since Dropbox just includes mobile support in their subscription. Ubuntu One comes pre-installed in Ubuntu 10.10. I just had to navigate to Preferences, and sign in with my account that I set up on the web. Once I was signed in, Ubuntu added an “Ubuntu One” folder to my places, and it also showed up in the file browser. The folder itself lives in your user’s home directory (similar to the Users directory in Vista / Win7). Ubuntu One can synchronize any folder with the cloud, something the primary competition, Dropbox, does not do at this point. All that’s required is right-click on the folder you want to sync, and traverse the waterfall menu to Ubuntu One, and click Synchronize this Folder. A minor hiccup occurred when I tried to sync files using the provided Ubuntu One folder. As soon as I dropped files into the folder, I got a pop-up telling me that my account was full and I had to upgrade. It turns out I had to manually click the “Connect” button in Ubuntu One’s preferences application. You can choose to publish (share) certain files on the Web via direct URL links. This can be done either from Ubuntu’s file browser by right clicking on the file and selecting “Publish”. You can also do the same from the web interface. I found a quirk when I published a link from the web interface. It seems that the Ubuntu client and website don't recognize when the other has published a file. Thankfully, the OS client and website both generate the same URL. But the two locations should be sync'd. Ubuntu One's preference is found towards the button of the System menu in Ubuntu. You can sign up right in the app, or on the web. Once signed in, your account information is diplayed. You can set up bandwidth limiters here. Make sure to click that connect button! Here you can determine what items should sync into the cloud. Once set up, Ubuntu One adds its own folder into the "Places" menu in Ubuntu. The folder itself lives in the user's home directory. This is the lovely error you get if you forget to click the connect button. Totally obvious, right? Folder options for ubuntu one are thought out well. The Dashboard shows what you are currently using, and any news. The file viewer for the website. You can choose to download or publish the file for sharing. Publishing files produces a direct link. The client does not update what files are published through the web, but handles the conflict well. Tomboy's setup was as easy as selecting the right service to sync notes with. Tomboy will display a list of synced notes. Contact Sync happens transparently when adding contacts using Evolution. You can see the notes sync up on the dashboard. Look the same? It should. Devices is also the same. Note the synchronization timer. This is part of the beta issues. Here's the list of items they plan on adding. Notes synchronization happens through Ubuntu’s Tomboy Notes application. The documentation provided was out of date because Tomboy now comes with Ubuntu One preinstalled. Once I figured out how to sync notes (by selecting Ubuntu One as the service to use), notes synced up to the cloud quickly. Ubuntu One’s music store is rather small compared to the likes of Amazon and iTunes. On top of it, it’s significantly more expensive ($1.49 per MP3 / $12.99 per Album) for music, so I didn’t bother trying it out. But I would expect it to work similarly since it’s just syncing files that One already handles. Contacts synchronization happens via Evolution, Ubuntu’s primary email client. Setting up Evolution requires an email account, so I let it sync up with my Gmail account. Contact synchronization requires nothing extraordinary from the user, and you can add new contacts to Ubuntu One, or drag existing contacts into the “Ubuntu One” area. Windows support is currently in beta, and beta software it is. Currently the only working feature is file synchronization, which happens based on a time interval you set in the application preferences. File synchronization worked just fine. However, the developers need to disable the pop-ups that occur on each sync. I only want to know when a file is being synchronized. I don’t care otherwise. Accessing your files is similar to other cloud storage services: client or website. Ubuntu One uses the file explorer of your OS like Dropbox does, so there’s no specific “client” interface. The website for Ubuntu One is laid out simply and is easy to navigate. There's a good walkthrough of both the website and OS client in the Gallery. Ubuntu One’s team needs to learn how to estimate time better. While finishing up this review, Canonical scheduled a server outage estimated to take 4 hours, and should have been online by 7AM EST. The service did not come online until 3PM EST. That’s over twice originally estimated. I did not want to release the review during this outage, so I held it until the service came back online. Security is mediocre. Ubuntu transmits all files using SSL, and uses server certificates to make sure they are talking to the correct server. This prevents man-in-the-middle attacks. However all files are stored unencrypted. Canonical claims this is because of how they publish files to the web, but this doesn’t make a whole lot of sense. How can Dropbox encrypt files using AES-256 and offer the same capability to share files? Ubuntu has some things to work on, for sure. Support is decent for an open source company. The FAQs are lengthy and informative. There’s a question/answer forum called Ask Ubuntu very similar to Quora or StackOverflow. Finally, if you can’t find your answer there, there’s an email form to contact someone at Canonical for help. Support responded to a question I had regarding billing in two hours. Overall Ubuntu One is a decent platform, but has work to do. I wouldn’t recommend it at this point over Dropbox, which offers excellent cross-platform capabilities and encryption. Finally the complete lack of file revision support really kills it for me, since files can never be recovered if accidentally deleted.